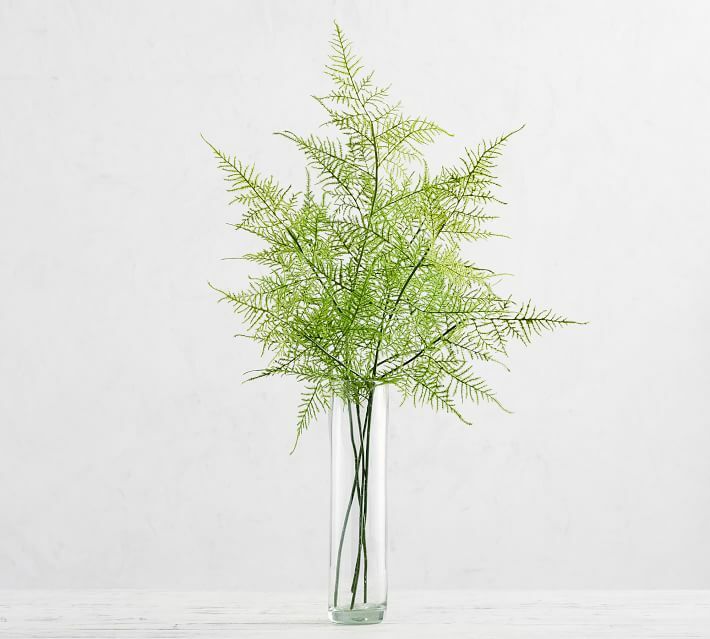 1 – If you’ve been on the hunt for some pretty faux greenery for spring and summer, I think these faux asparagus fern stems are a total steal right now! They’re a bit airier than most, so you’d probably want at least two or three for a thin vase, but I think they’re so beautiful! 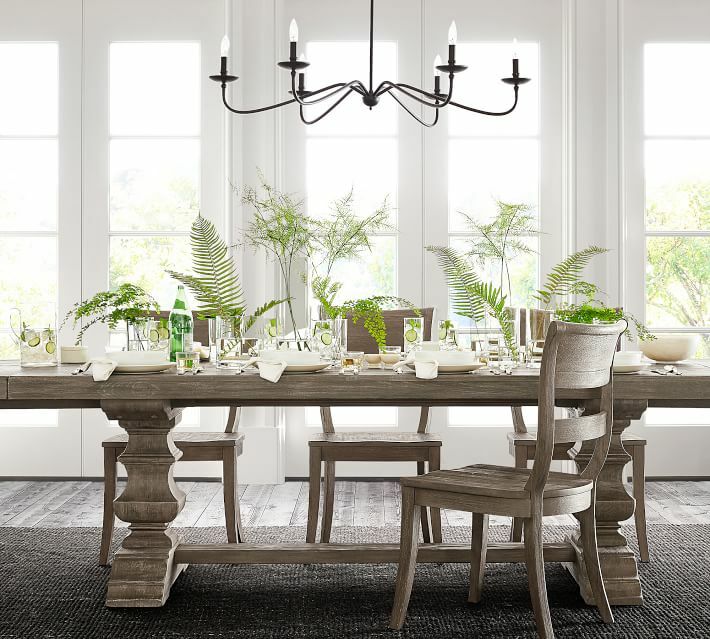 I actually prefer them styled a bit more loosely than above, like on the tablescape below. So pretty! 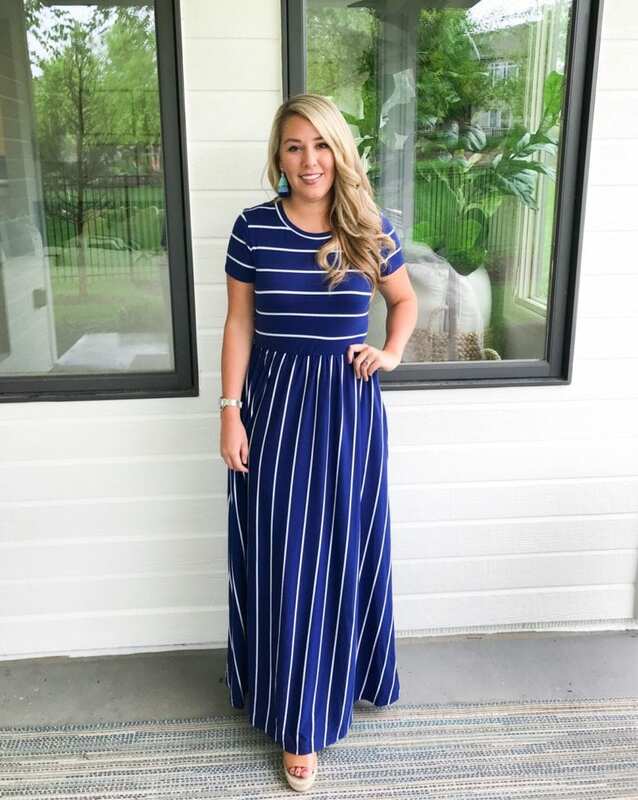 2 – My favorite striped maxi dress now comes in a sleeveless version! 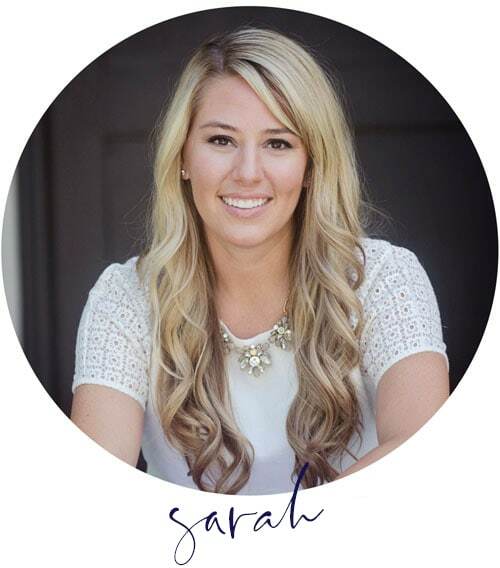 The price is hard to beat and they are so comfy and easy to wear! I’ve worn them dressed up and down. They typically come pretty long, but my mom, who is several inches shorter than me, has cut them with scissors at the bottom. They don’t unravel (and look finished) because of the type of jersey fabric! I’m ordering the white option for summer! They fit true to size and I typically order a size large. Here’s me wearing the short-sleeved version last spring in the navy blue color. The blue is definitely not as dark as it appears online in the stock photo. I’m wearing it with these wedges so that should give you an idea of how long this one is! 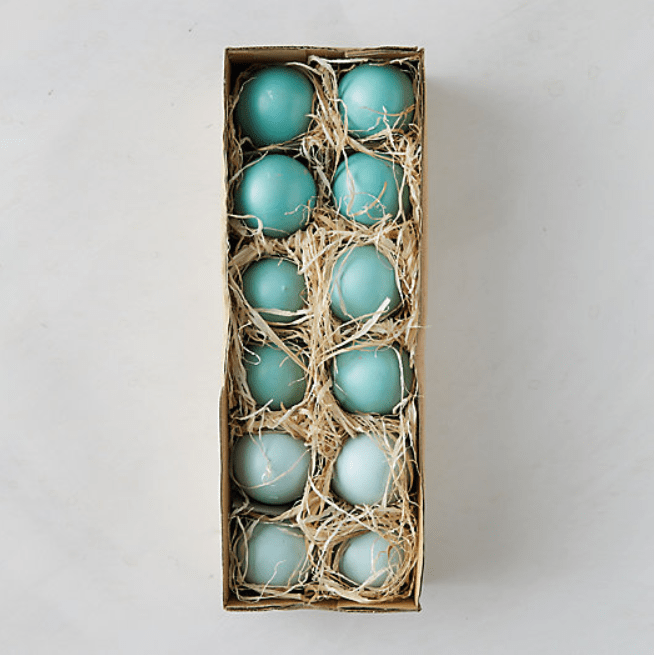 3 – I’m loving this pretty collection of ombré painted Easter eggs! The price is right if you want to use them in decor for years to come. Or, they also serve as pretty inspiration if you’re dying eggs this year! They come in three pretty color palettes. 4 – Guys! I can’t believe patio season is almost here! I’m counting down the days until I can plant my flowers and bring out our patio furniture! 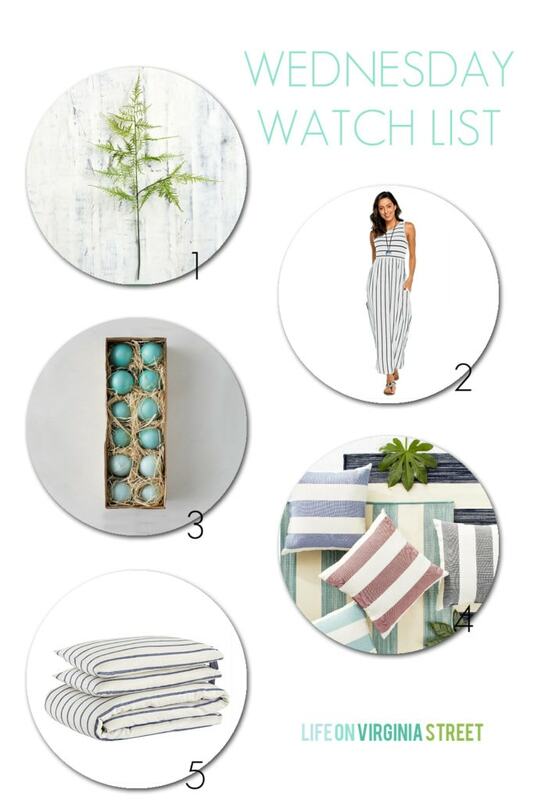 I’m loving this affordable cabana stripe collection! From the rugs to the umbrellas to the pillows and furniture cushions, I basically want one of everything! 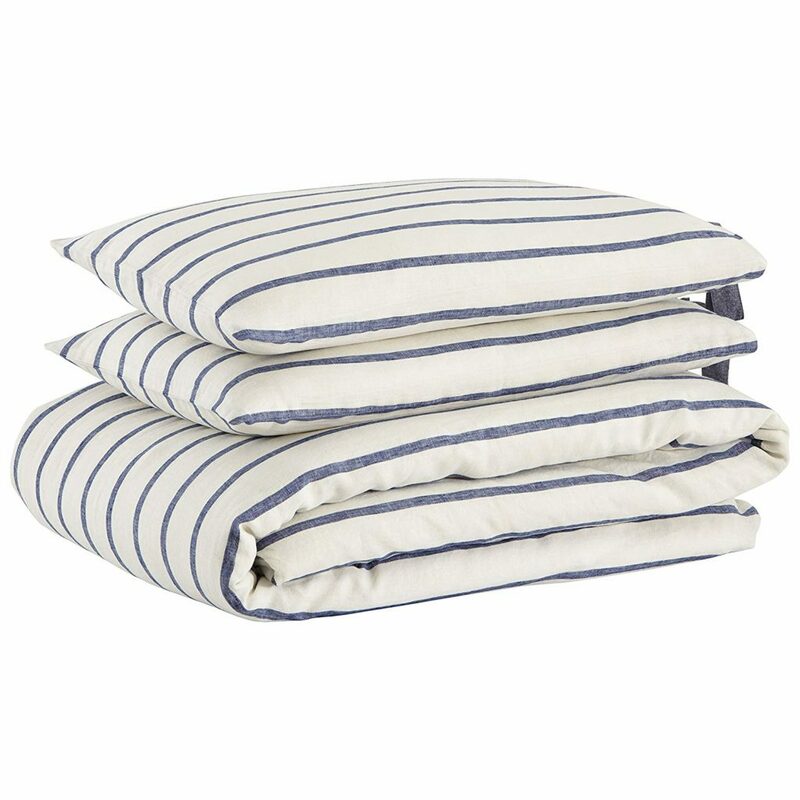 They’re already affordable, but right now the pillows and cushions are buy one, get one 50% off – which makes them ridiculously affordable. I love that they come in seven colors, too, so there’s something for everyone! 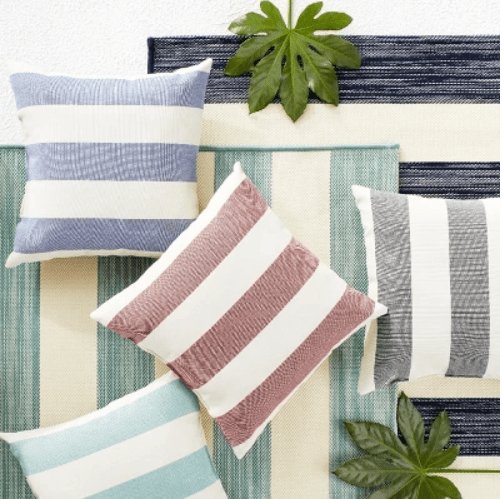 They’d be cute paired with these reversible tassel pillows – indoors or out! 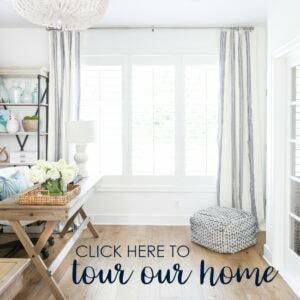 5 – Have you guys seen this new home decor line that Amazon launched? I’ve been having a lot of fun perusing their items. It includes lighting, rugs, furniture, small decor items, bedding and more. 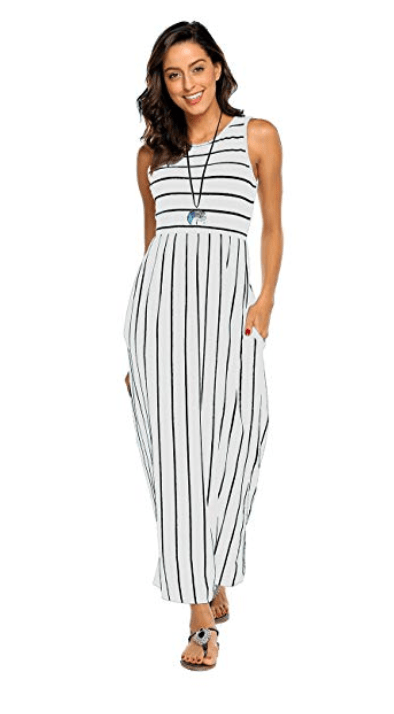 I’m surprised at so many of the cute styles they offer and the prices are all pretty great! At first glance, I’m especially loving this bedding, this swivel chair, this console table, this rug, this bed, and so many other fun finds!